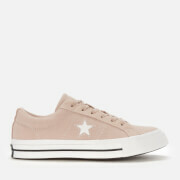 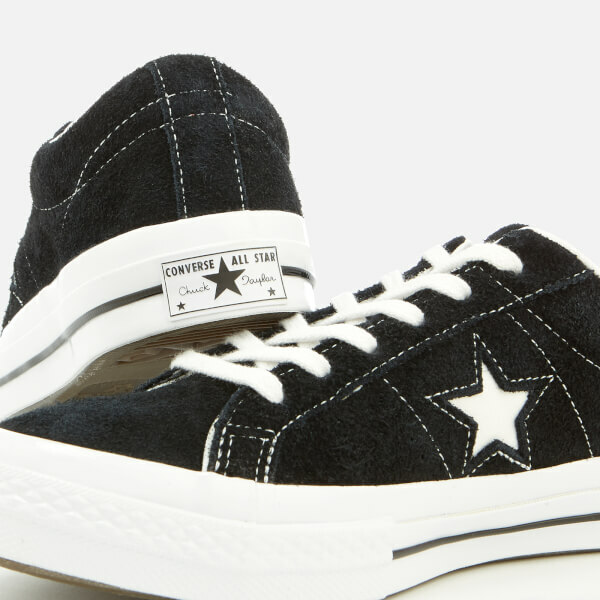 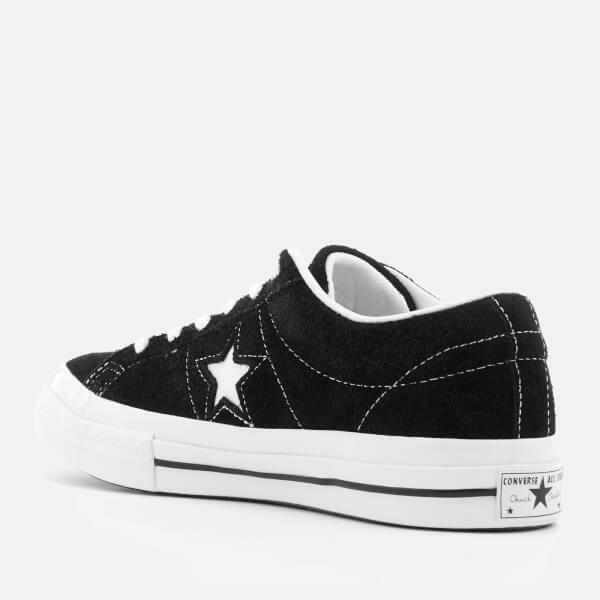 Black unisex ‘One Star Ox’ trainers from Converse. 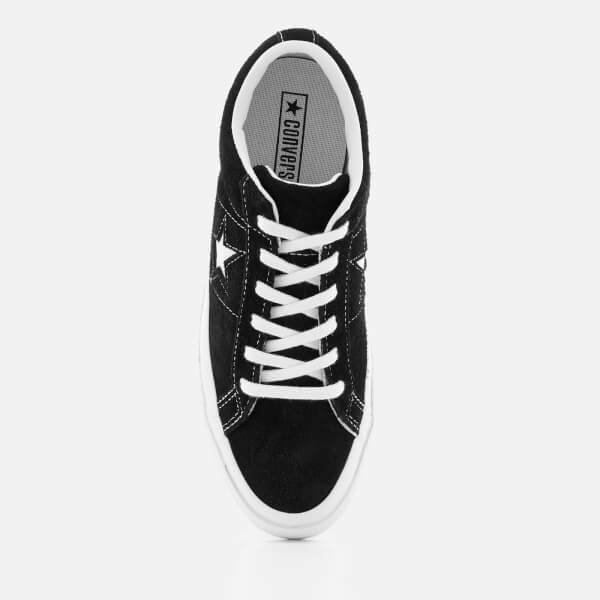 Crafted from black suede uppers, the lace-up sneakers are detailed with a round toe, contrast laces and white stitching detail throughout. 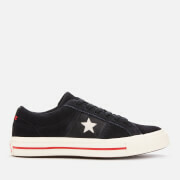 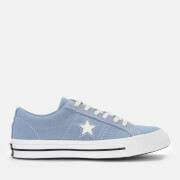 Set on a signature white rubber sole with black stripe detail, the trainers feature a white Star design to the side and are complete with branding to the heel tab.